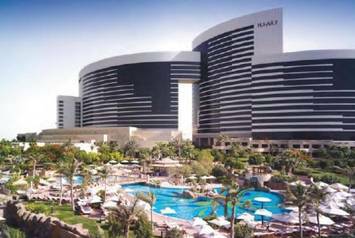 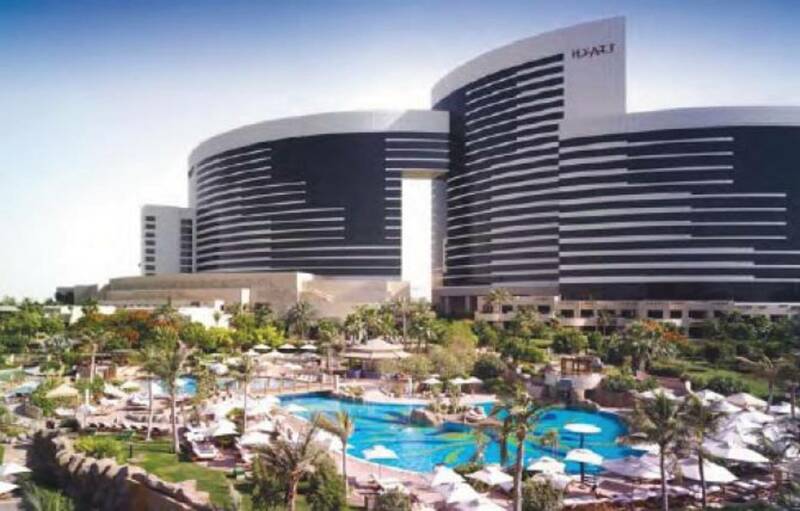 The Grand Hyatt Hotel Dubai consists of four modern, wave-shaped buildings in the midst of 37 acres of landscaped gardens. 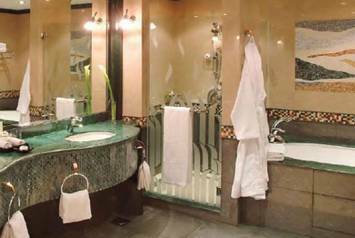 The bathrooms are classic in style, with plenty of marble elements and lavish mosaic tilework. Modern luxury defines the look with the VAIO SET from KALDEWEI.